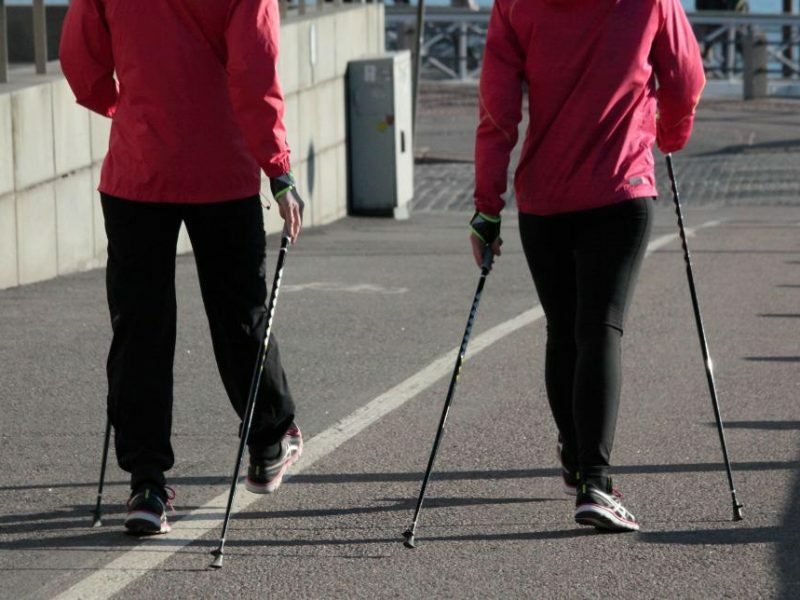 Nordic Walking was originally invented for top cross-country skiers, enabling them to train during the summer months. However, the sport grew in popularity and it is now regarded as one of the healthiest activities in the world. Nordic Walkers often look as if they are simply taking a leisurely stroll with the help of two poles. First impressions, however, can be wrong: the poles help to give the upper body a serious workout, strengthening the arms and tightening the shoulder and chest muscles. At the same time, the motion releases tension in the neck and shoulder areas. Nordic walking is, in fact, a great fat burner – with 46 percent more calories burned than through regular walking. This is one of the main reasons why doctors recommend Nordic Walking to those wanting to lose weight. No other endurance sport can help condition the body in such a gentle fashion – all the while boosting the circulatory system and improving overall body tone. Nordic Walking is therefore also an ideal exercise for senior citizens and people with weight issues. Whereas joggers, over time, often experience problems with their knees, ankles, meniscus or Achilles tendons, the Nordic Walker will rarely encounter these, as brisk walking with two poles is quite gentle on the joints (30% better than jogging, according to the experts). The poles offer 5kg of relief with every step. Therefore, in 30 minutes, the body has been saved roughly 9000 kilograms of impact, compared with ordinary walking. Besides decent footwear, the poles are your most important piece of Nordic Walking kit. To ensure optimum natural motion, it is important that they are the right size for you. To calculate the length you need, simply multiply your height (metric) by 0.66 – this will give you the correct pole length, in centimetres.